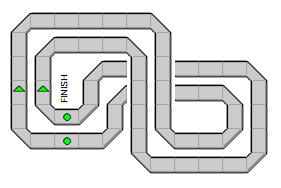 The Competition function is originally implemented for slot or train racing. But it can also be useful for watching the time needed for one complete (schedule) run. It also shows the average speed in km/h. 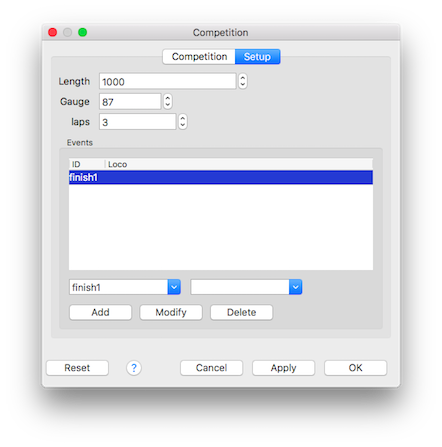 The Competition dialog automatically pops up, if not already active, at a Competition event coming from the Rocrail Server. 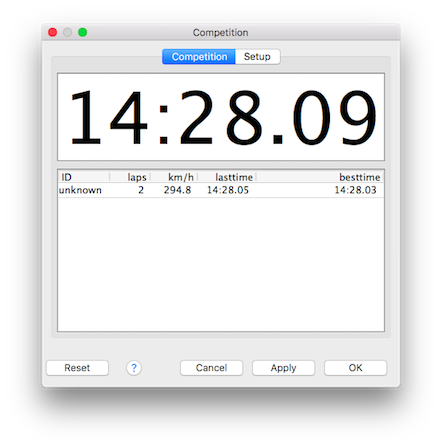 The Competitions only uses real time and not the fast clock for calculating elapsed time and km/h. The basic setup for a Competition is very simple and needs only one sensor, the total length and the used gauge. If the used sensor(s) can scan the identity of the passing vehicle the ID will be shown on the main Competition tab, and every vehicle becomes its own record. If the used sensor are not capable of scanning the passing vehicle ID, and every vehicle passes always the same finish sensor, it can be set in the Event table.